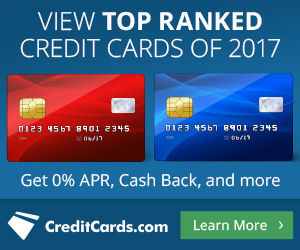 I have been earning Citi ThankYou points for years through the Citi Prestige card. They used to have tremendous value when booking with American Airlines, but now they are worth only 1.25 cents per point when purchasing flights. Savvy travelers know that ThankYou points are often worth the most when transferring to partner airlines. Here’s how to transfer Citi ThankYou points to Qantas. Which transfer partner to choose? Before you can transfer Citi ThankYou points, you need to earn them first. The best way to earn a bunch of ThankYou points in a hurry is to sign up for a new credit card and earn the bonus. Citibank also runs banking account bonuses that earn ThankYou points. However, unlike credit card bonuses, please note that bank account bonuses are generally considered taxable income. Once you’ve earned Citi ThankYou points, now it is time to redeem them. As we’ve talked about numerous times, travel rewards are worth more today than they will be tomorrow. Airlines, hotels, and banks devalue their loyalty programs on a regular basis. There are a few other options, but these five are the most popular. In my opinion, your best options are the first two – book flights at 1.25 cents’ value or transfer to an airline partner. Before you can transfer Citi ThankYou points to Qantas, you need a Qantas loyalty account. It is very quick and easy to create your account. I created mine in about two minutes. Click here to create your Qantas frequent flyer account. Here’s how to transfer Citi ThankYou points to Qantas. First off, log into your Citi account. On the right side of the screen, find your ThankYou points balance and click on “Redeem“. Once you click on Redeem, you’ll be taken to a screen where you can choose which of your Citi ThankYou points account that you want to work with. I chose my Citi Prestige account because that is where the majority of my ThankYou points are at. When you get to this screen, hover over “Travel” then click on “Points Transfer“. Citi ThankYou points currently has 15 airline transfer partners to choose from. Through April 13, 2019, Citi ThankYou points offers a 25% bonus when you transfer points to Qantas. If you haven’t already linked your frequent flyer account to Citi ThankYou points, then you’ll be prompted to enter your name and frequent flyer number. Every transfer partner has its own rules. Notice that points transfers can take up to 14 days. There are no cancellations or returns. Make sure that the award space you are looking for is available before you transfer points to that airline. Be aware of blackout dates or any other restrictions that may apply. Some airlines will allow you to place your flights on hold while the points are transferred into your frequent flyer account. Check with your preferred airline to find out their rules on this subject. For each airline transfer partner, you must transfer at least 1,000 Citi ThankYou points. You can transfer up to your total balance, but the transfer must be in 1,000 point increments. In my situation, I chose to transfer the maximum available, which left me with 711 Citi ThankYou points left over. Review the details of your proposed transfer. Remember, once you’ve transferred the points to that airline, you cannot move them back to Citi ThankYou points. I chose to transfer 216,000 ThankYou points to Qantas. This transfer will net me 270,000 Qantas miles that I can use to fly Qantas or one of its partner airlines. You will receive a confirmation via email, but it is a good idea to print this page in case the email goes to spam or becomes lost in your inbox. I submitted my transfer to Qantas on Friday, March 22, 2019. And the Qantas miles posted to my account on Tuesday, March 26, 2019. The weekend elongated the process, but it was completed within two business days. Some airline transfers happen immediately, but two business days is very reasonable. Transferring more than 200,000 points to Qantas is a pretty significant amount of points to transfer. Qantas is a member of the oneworld alliance, so there are 12 airlines where you can redeem Qantas miles for flights. If you have Qantas miles, you can book award flights on Qantas 355 days in advance vs. 331 days in advance when using partner airline miles. This 24-day head start can be key if you’re looking to secure First Class tickets on Qantas to the US. We used these 270,000 Qantas miles to book four one-way Economy tickets (35,000 each) and two one-way Business Class tickets (65,000 each) on El Al. We’re flying from Tel Aviv, Israel to Johannesburg, South Africa as part of a larger itinerary. For an in-depth post about the best uses of Qantas miles, check out this post by James from One Mile At A Time. 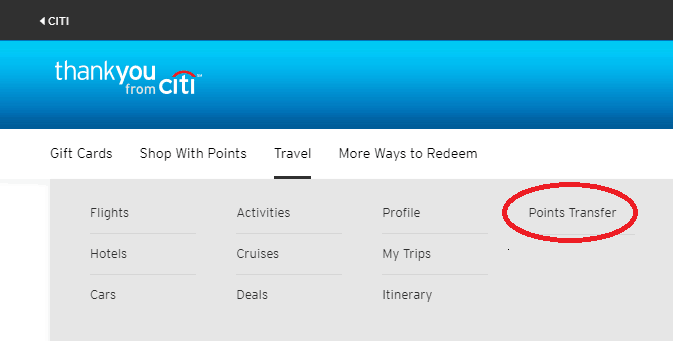 It is great to earn Citi ThankYou points, but you don’t have to settle for 1.25 cents per point in value. You can transfer them to a partner airline and receive far greater value. With 15 airline transfer partners to choose from, you can be really creative and maximize the value of your Citi ThankYou points. How do you use your Citi ThankYou points? What are some of your favorite redemptions once you’ve transferred them to one of their airline transfer partners? Previous articleSouthwest Hawaii Inter-Island Flights, Vegas Hotels Cut Resort Fees, Has Your Money Expired? Next articlePlane Lands At Wrong Airport, Wow Air Shuts Down, Google Hotels is Amazing!